For more than 80 years, Rohde & Schwarz has stood for quality, precision and innovation in all fields of wireless communications. The privately owned company is strategically based on four pillars: test and measurement, broadcasting, secure communications, radiomonitoring and radiolocation. The electronics group, headquartered in Munich (Germany), has a global presence and is among the world market leaders in all of its business fields. AR Competitive Edge products supply a multitude of unique RF solutions to companies around the world. Our limitless support and service network reaches the far corners of the globe. When companies purchase from any AR company they have the peace of mind that comes from knowing that we will be there to provide cost effective solutions and help with any problems that may arise today, tomorrow or in the future. Advanced Test Equipment Rentals primary focus is providing a complete rental solution of test and measurement equipment to industries such as Aerospace, Defense, Communications, EMC, and more. Our wide inventory, custom solutions, flexible rental terms, and quality customer support differentiates us from our competitors as a complete solution for all test and measurement needs. Our inventory covers most electrical/electronic test applications and we are always expanding to remain the industry’s leading electrical test equipment rental provider. EMSCAN products are novel magnetic near-field measurement tools, providing antenna measurement and preparation for EMC compliance testing. They are easy to use, reduce time to market, and dramatically improve R&D productivity. 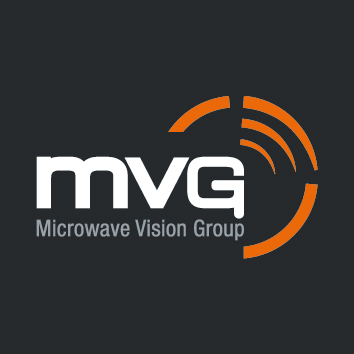 The Microwave Vision Group (MVG) has developed a unique expertise in the visualization of electromagnetic waves. These waves are at the heart of our daily lives: Smartphones, computers, tablets, cars, trains and planes — all these devices and vehicles would not work without them. MVG offers systems that allow for the visualization of these waves, while evaluating the characteristics of antennas, and helping speed up the development of products using microwave frequencies. Since our founding in 1994, Quell Corporation has been committed to providing top-quality EMI/RFI filters for a wide variety of connectors. We take pride in our patented silicone rubber electronics packaging technology, and the role EESeal® has played in solving EMI problems for our great customers worldwide. Founded in 1998, RIGOL Technologies, Inc. is an ISO9001:2000 Quality Management System and ISO14001:2004 Environmental Management System Certified company, an emerging T&M leader and a technology innovator in Electronic Measurementand Chemical Analysis. RIGOL’s premium line of products includes Digital Oscilloscopes,RF Spectrum Analyzers, Digital Multimeters,Function/Arbitrary Waveform Generators, Digital Programmable Power Supplies, HPLC and UV-Vis Spectrophotometers, which help the engineers, researchers,educators to address their measurement challenges in confidence with affordability than even before.